The recent surge in global uncertainty kicked off by China’s currency devaluation and a rapid decline in the Chinese stock market sparked a plunge on Wall Street, driving the S&P 500 lower by nearly 10 percent over the last week. The ensuing flight to safety tightened yields on the 10-year Treasury dramatically, pushing returns to the 2 percent range. The stock market turbulence reflects global uncertainty rather than U.S. economic performance, which remains positive as indicators including employment and consumption continue to deliver solid results. Commercial real estate has benefited from this steady economic momentum while limited development has restrained supply risks. 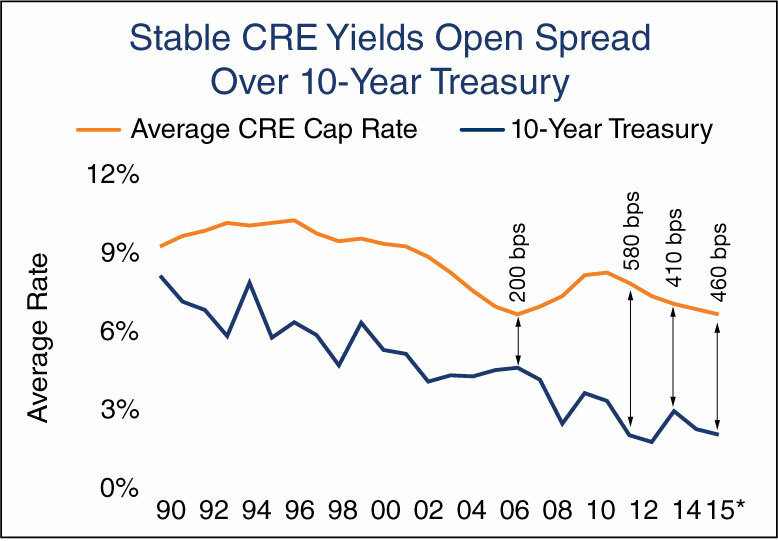 The competitive yields offered by this sector reiterate commercial real estate’s compelling benefits amid global volatility. together with the ensuing equity market drop, falling energy prices and tame inflation. Although the Fed must eventually raise rates, recent events could postpone Fed action until its December meeting or even into 2016. A September increase is not completely off the table, but recent volatility will likely inspire additional caution. 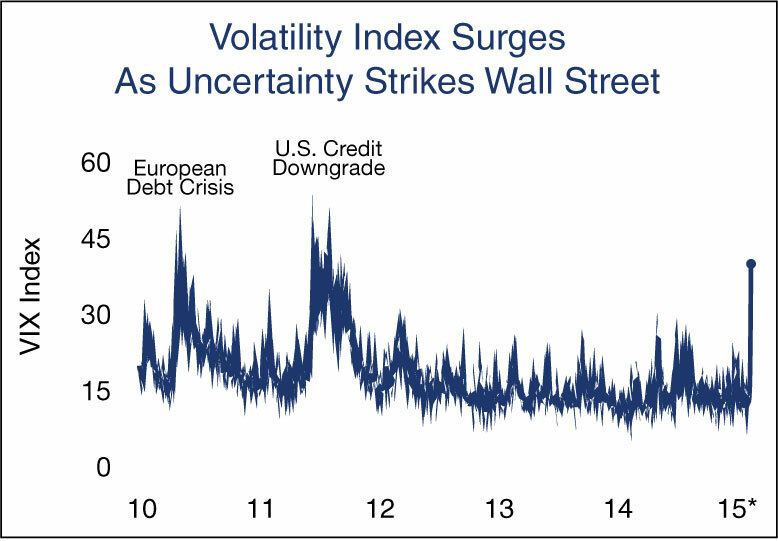 markets, and continued European fiscal issues remain the greatest risks to the U.S. economy. Contagion could erode business and consumer confidence, in turn slowing job growth and retail consumption. Though these risks remain unlikely at this stage, they still warrant additional caution as U.S. markets adapt to international influence. Notably, even as international uncertainty creates instability for many investment classes, commercial real estate remains well-positioned to withstand short-term shocks due to sturdy demand drivers and limited supply risks. 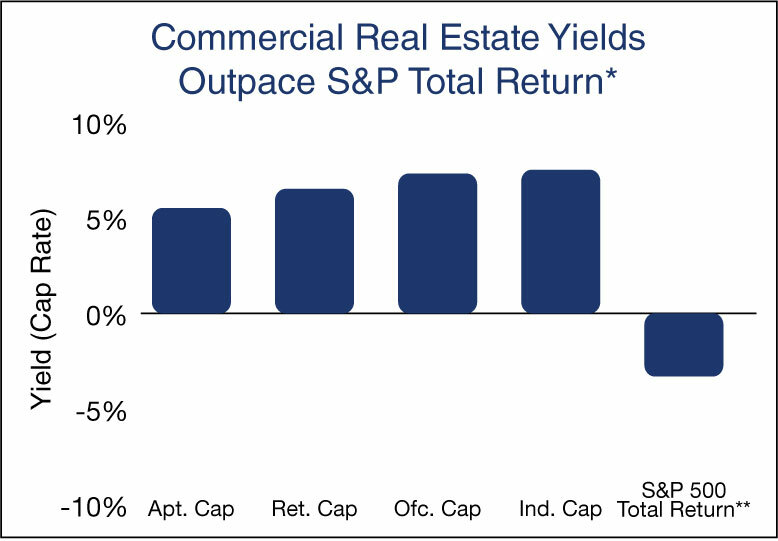 Commercial real estate yields still reflect sound fundamentals and steady demand drivers. Vacancies have tightened for all major property types over the last year and rent growth remains robust. With performance indicators reflecting a positive outlook, investor activity has risen, and commercial real estate transactions could potentially surpass the record levels of 2006. This entry was written by marcusmillichap, posted on August 25, 2015 at 5:22 pm, filed under Uncategorized. Bookmark the permalink. Follow any comments here with the RSS feed for this post. Post a comment or leave a trackback: Trackback URL.